Martin Andersen, violist and violinist, has been a member of the New Jersey Symphony Orchestra since 1979, and is also an active freelance artist in the NY/NJ metro area. Martin has appeared as a soloist with the Hudson Chamber Symphony, Hawthorne Chamber Orchestra, the South Orange Philharmonic, and at the Bedford Springs (PA) Festival. Since 1990 he has performed as orchestra and chamber musician at the Grand Teton Music Festival in Jackson Hole, Wyoming. His musical activities have also taken him to Austria, Ireland, Japan and Korea. 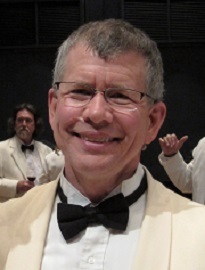 Martin has been active in orchestral and union governance for several decades, having served frequently on the NJSO Players Committee, including as Chair during negotiations; and also on the Executive Board and also as Secretary-Treasurer of Local 16-248. He has been NJSO’s ICSOM Delegate or Alternate Delegate since 2009. Growing up as one of the first Suzuki students in the U.S., Martin has been committed to teaching since his teens. He has taught in the Brooklyn College Preparatory Division, at Seton Hall University, and as an Artist in Residence at Stevens Institute of Technology. He also maintains a private teaching studio, as well as coaching both the NJSO’s Academy (Youth) Orchestra and Lieberson Ensemble.